Seemingly named after a gelateria on Via Marghera (Marghera St.) in Milan, this was a store that needed to open in Tokyo. And it did … in the affluent and exclusive residential suburb of Azabu-Jūban. Tucked away among second-hand designer stores, cafes, and prestigious florist boutiques, the shop has everything you could desire: Gelato (accented with liqueur toppings for an additional ¥200), gelato tortas (cakes), dopocena (literally “after dinner,” ¥650), and biscotti (¥440-490). 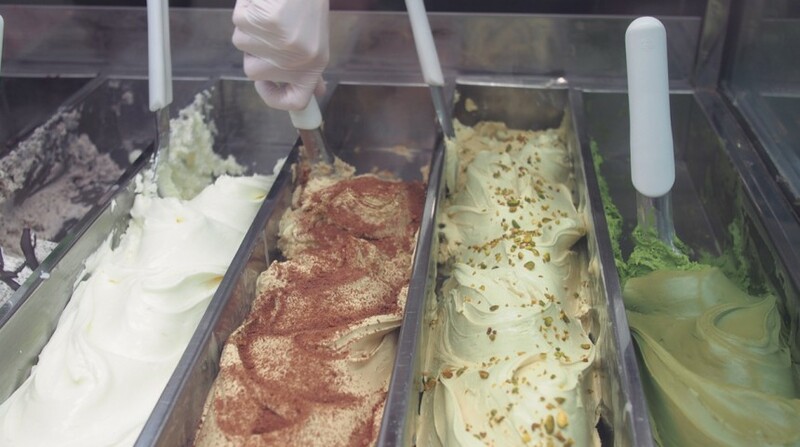 From colorful and bold sorbets (pineapple, mango, mint, kiwi, melon) to creamy flavors (tiramisu, hazelnut, pistachio, chocolate, white chocolate), your gelato wish can come true. Yogurt-based options (yogurt with strawberry or forest fruits) are also on hand. If you are a tea lover, then this is the place for you with matcha and Earl Grey lending their flavors. The choices are endless, with at least 20-30 flavors on display each day and creative and tempting surprises popping up regularly. The dopocenas (ice cream and frozen desserts to be enjoyed “after dinner”) look particularly tantalizing. If it is too hard to choose, buy them all and take away gelato for the whole family; or choose a gelato cake and host a small dinner party with this dessert as the crown jewel. This may just be the perfect way to end an evening of dining or an indulgent afternoon. The treats will run you ¥500 for a single flavor or ¥600 for two. (Add ¥50 for premium flavors.) The cost is most certainly worth it. Sweet gelato time is here. Melt away your worries with this delectable treat.